All of these favorite stories come from my National Service experiences. Though my life has moved on to so many other jobs, friends, and interests, evermore I get this feeling that my time in AmeriCorps was the best of my young life. That’s not to say I don’t have future milestones ahead of me that will bring me just as much joy. It’s just that, no matter how I look back at it, my years in AmeriCorps brought me a kind of fulfillment and perspective that no other service opportunity has. Like all of my great adventures my time in AmeriCorps sprung forth from a feeling deep in the pit of my stomach that often reminded me I had no idea what I was doing with my life post-college. I looked around my personal bubble in Charlotte, North Carolina for some hints as to what I wanted to be when I grow up. College job fairs, career counseling sessions, and moments of personal reflection only made me feel more confused and without direction. Through some act of serendipity I took a job at my local Habitat for Humanity affiliate. Though I was mostly there to buy myself some time in making big life decisions, I started to notice myself being drawn into the lives of those around me. All of these Habitat people were constantly fluttering back and forth between a myriad of phone calls, handshakes, and paperwork. They were the busiest, most hard working people I had ever met and they were making the magic happen while sporting the biggest smiles on their faces. It wouldn’t take me long to learn that these smiles often belonged to serving AmeriCorps members. While Peace Corps service had been on the back of my mind for years prior, this ‘AmeriCorps’ word was brand new to me. Within a month of meeting my first AmeriCorps member in person I had began my interview process with AmeriCorps NCCC. The service, the challenge, and the opportunity to integrate myself into a new community – I wanted it all. This was the path I was looking for so desperately. AmeriCorps National Civilian Community Corps (NCCC) falls outside of what most people think the AmeriCorps experience is about. It is a team-based community service program that travels throughout the country serving non-profits, government organizations, and disaster relief projects. NCCC corps members live full-time with their teammates and will work on a variety of projects throughout their service year. With a physical training aspect as well as lingo such as unit leader, NCCC has a sometimes military or civil service feel to it – something you may or may not find in other AmeriCorps opportunities. NCCC flew me out to McClellan Air Force Base outside of Sacramento, California, a part of the country I had never been to before. I was alone, incredibly sick from an unfamiliar flight, altitude, and climate, plus mired in paperwork during my first week. As I lay awake in bed at night, sick to my stomach and unable to fall asleep due to my roommates constant blaring of loud music through the entirety of the night, I couldn’t help but feel like maybe I made a mistake. Before I continue – all of the best things in my life started out this way. Sure, not every milestone of my life contains a part about inconsiderate roomies, but the feeling of doubt about embarking on something new is a constant. Though the paperwork and sleepless nights would continue, they became less and less frequent. I was eventually introduced to my official team (all of who were great roomies) and McClellan began to feel more and more like home. My sense of belonging to something organized and larger than myself was growing. My ten months of AmeriCorps Service was rigorous. 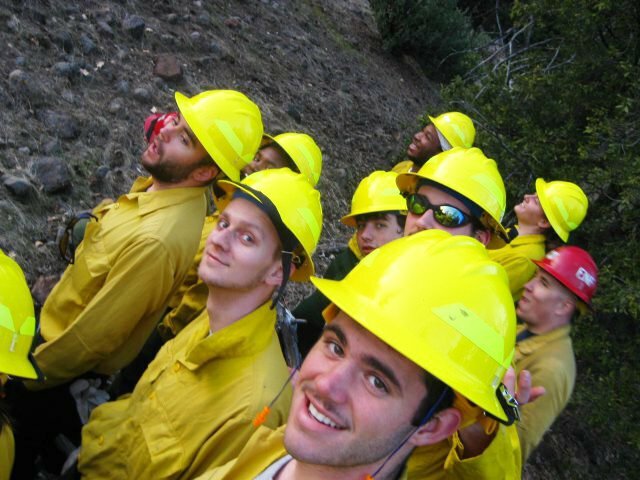 My teammates and I were on a special team trained to be wildland firefighters along the West Coast. This meant long hours spent in training paired with the constant excitement and worry over being called to an emergency at any moment. It was a year of trial by fire (so to speak) that bonded my team into a close knit service machine. Chainsawing, creating fire line, building homes – we made it look quick and easy. You haven’t seen work done quickly and efficiently until you’ve seen an AmeriCorps NCCC team who has been at their job for a while. A service year spent mostly in the exposure of the out of doors honed an interest in environmental work that was steadily growing inside of me. Before my time in NCCC had come to an end I had secured a position with AmeriCorps CAC in Knoxville working under the title of Water Quality Assistant. Admittedly, after I had most recently been living in the beautiful Lake Tahoe area, Knoxville seemed a little too tame to be excited about when the work factor was set aside. Little did I expect that I would fall deeply in love with both my work in the sustainability field as well as my new place of residence. As a member of Farragut’s stormwater team I was challenged to complete tasks that often had me waist deep in the town’s Turkey Creek mapping stormwater outlets, navigating around beaver dams, and taking great pleasure in exploring my passion for environmental work. Even more compelling than those tasks were the opportunities I had to spread my wings in creative education and outreach projects. From creating recycling posters adorned with Lady Gaga and LOLCats, to producing a rap battle video starring benthic macroinvertebrates found in Tennessee’s streams, I created content that acted as a foundation for my future work in communications and public relations. 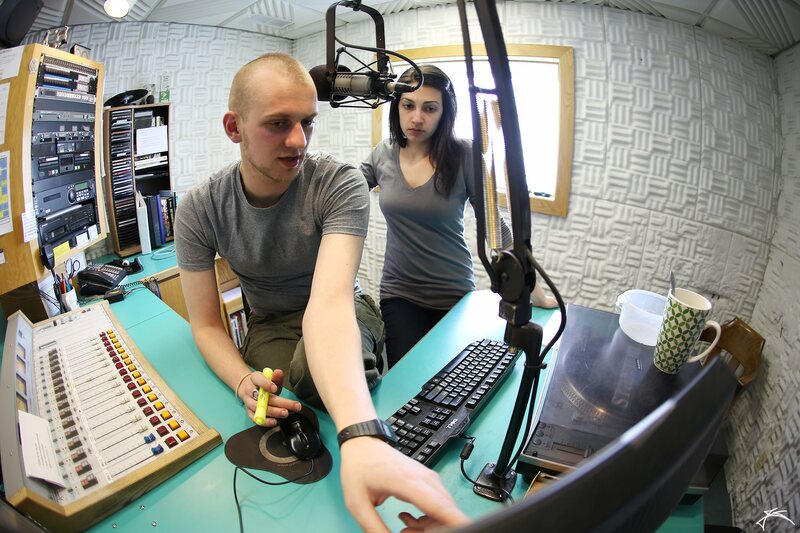 With the foundation of public outreach I developed during my year with AmeriCorps CAC, I embarked on my third year of service working as a service member with KNOM Radio Mission in Nome, Alaska. I know that sound like quite a leap both geographically and professionally, but never did any of my adventures feel disjointed from one another. Though each were unique in what the experience was composed of and felt like, each allowed me to build upon traits and skills learned in the previous position. KNOM was an intense and delightful experience. One blog post simply would not do justice to what I got to experience there. In many ways it felt like the capstone experience of my service years that allowed me to reflect on what my years of service meant to both me as well as what it may have meant to the communities I served. 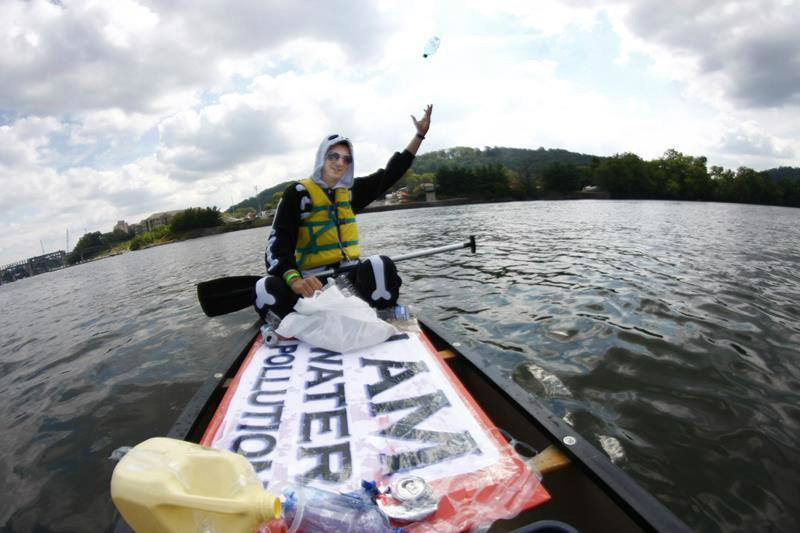 It was during this time that my heart told me to return to Knoxville and somehow find a way to meld my love of environmental advocacy with my skills in communication. In the time since I graduated from my final service experience I have continued to wear many hats. When I returned to Knoxville I began work as the Sustainability Coordinator for the non-profit Tennessee Clean Water Network. 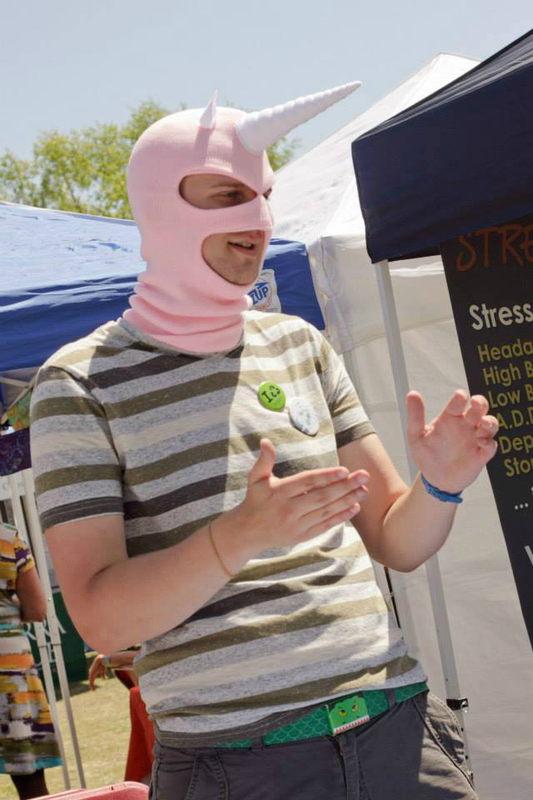 In this position I did everything from promote sustainable drinking water infrastructure at Bonnaroo (dressed as a majestic water fairy I might add) to traveling to New Mexico to teach other non-profits how they could emulate the groundbreaking work that TCWN had embarked upon. You may currently find me looking like your typical weary yet enthusiastic graduate student at the University of Tennessee studying Communications. It is my goal to further develop my skills so that I can continue to be of use to the communities I serve. Without my AmeriCorps experience I do not know if I would be as happy with where I am in life as I am now. What I can tell you though is that there is not a day where I do not feel the positive life influence from my time in national service. AmeriCorps has given so much to me. It is my wish to use what I’ve been given to benefit the world around me. I am always willing to talk AmeriCorps with those who are interested in sharing their stories or folks who just want to learn more about it! Previous Previous post: It was exactly what I was looking for.. and exactly what I needed..